The Dial 9037 3/4" M. Hose x 3/4" F. Hose x 1/8" FPT (side tap) Pipe Adapter is a highly-reliable, durable product from Dial. 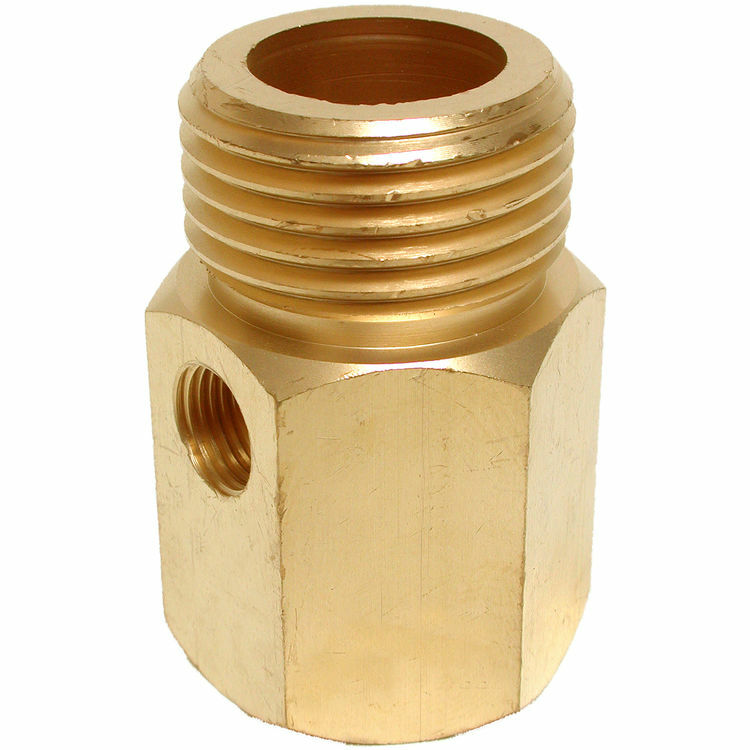 This adapter attaches to brass pipe, metal pipe, PVC pipe, or a garden hose, and it's unique side tap can attach to male unions or angle needle valves to supply water to the cooler. It may also be used behind the hose bib.